There are few things as good for the mind, body, and soul as camping in the outdoors. Some of my fondest memories are quality time spent around a campfire with family and friends. Compared to other activities, camping has a low barrier to entry and can be done on the tightest of budgets. For those that car camp and sleep in a tent, this is especially true. 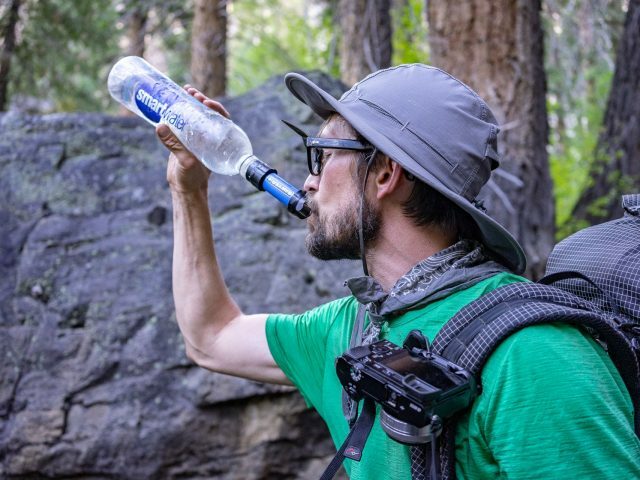 In general, backpacking requires more specialized gear and is considered to be more expensive to get into, but there are ways to minimize the cost of that as well. In our modern era of overpriced goods, it is easy to be left with the impression that good camping gear comes at a high price. Unless you have lots of money to spend, a few minutes browsing name brand products can lead to bouts of depression. Even if you are a baller, it is worthwhile to score deals. Why not save that dough for something else? In this post, I have compiled all of the ways I have discovered to help you find cheap camping gear without sacrificing quality. The adage, “you get what you pay for” is not always true. Of course, there are plenty of low priced items available that are pure garbage. However, if you know where to look, you can find excellent gear that is affordable, durable, and long-lasting. The most obvious way to save money on gear is to buy it used. There are always deals to be found on eBay and Craigslist, but with those sites you run the risk of being sold a lemon. As an alternative, check out Gear Trade, a simple site where outdoor enthusiasts buy and sell used gear. On a few occasions, I have scored at thrift stores, but oftentimes that search comes up empty. Recently, I discovered Worn Wear, a resale program where people are able to buy and sell used Patagonia gear. Patagonia makes some of the best outdoor clothing and gear in the world and strives to do so sustainably. All of Patagonia’s products are backed by their Ironclad Guarantee and Worn Wear items are only accepted if they “function perfectly” and are in “good condition”. So far, I have been super impressed by the quality and savings. REI just introduced a similar offering and it works the same way: Customers return used gear which is then inspected and put up for sale on REI.com/used. The markdown is significant and gives outdoor enthusiasts yet another option to buy and sell used gear. I expect programs like this will start to pop up more and more, as companies embrace the resale market. For now, Patagonia’s Worn Wear and REI’s program provide exceptional used gear at a bargain. Another fruitful method is to shop at local outlet and war surplus stores. Brick and mortar locations like these provide the added benefit of face to face interactions with store associates. With any luck, you will get someone knowledgeable you can ask questions and bounce ideas off of. You can’t underestimate the value of a good conversation with an outdoor gear expert. When I lived in Utah, Recreation Outlet was my favorite place to find good prices on gear. Here in Tucson, I am partial to Summit Hut, a locally founded, owned, and, operated outdoor retailer. To find the best stores near you, try a Google Search with the terms “camping gear outlet [your town]” or “war surplus [your town]”. If you already have some camping gear, but want something different or more specialized, you might want to consider participating in a gear trade or swap. If you decided to go this route, please protect yourself and beware of scammers. If you prefer to trade gear in person, some cities have local gear swaps. To find one in your area, do a Google Search for “gear swap [your town]”. Rentals can be a great way to try out gear before you commit to a purchase. They also come in handy for niche items you don’t plan to use that often. Does your local college or university have an equipment rental shop? These tend to be cheaper and more laid back than commercial locations. To find out, do a Google Search for “equipment rental [name of college or university]”. You can also rent gear online from Outdoors Geek and have it shipped to your door. Once your reservation is complete, send it back in the original box with prepaid postage. Some REI stores do gear rentals as well. Go here to find out if there is one near you. If you haven’t already, I highly suggest forking out $20 to become a lifelong REI Co-op member. As a member, you will get paid 10% back on all eligible REI purchases, in the form of an annual dividend. In addition, you will receive special offers throughout the year and gain access to REI Garage Sales. Backcountry has consistent sales and discounted items throughout the year too, so be sure to comb through their site for deals. For instance, I have an upcoming backpacking trip and my tent is being repaired. I need a shelter, so I bought a Marmot Eos 1P Tent for 20% off on Backcountry. The tent is freestanding, weighs 2 pounds 7 ounces, and has great reviews.